Using three ducted fans, the TriFan 600 lifts off vertically and in seconds, the two wing fans rotate forward for a seamless transition to high-speed flight. Within just 90 seconds, the airplane reaches cruise speed – where the lift is provided by the wings just like every other fixed-wing airplane. The fuselage-mounted fan, no longer needed, closes up. The airplane flies directly to its destination and reverses the process. Landing vertically right where it needs to be – wherever there’s a clear helipad-sized paved surface. 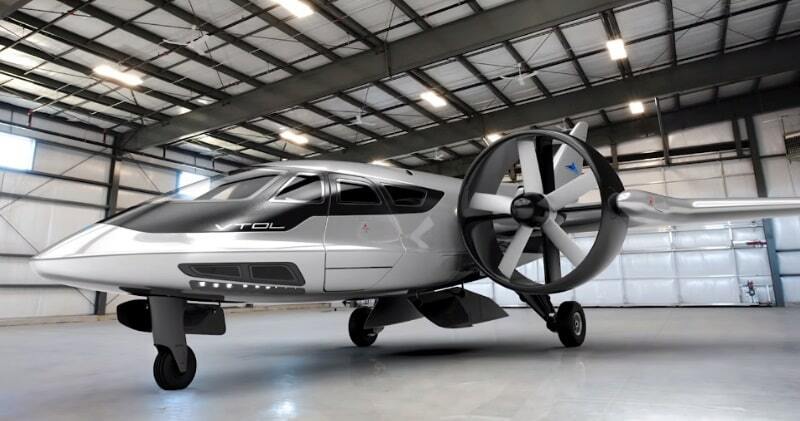 The XTI Aircraft TriFan 600 will have a 6 seat configuration with a speed of 345 miles an hour and a range of up to 1,200 miles.The TriFan 600 can reach 30,000 feet in just 10 minutes. Stepping aboard, discover unparalleled cabin comfort, satisfying the most discerning needs. Find perfectly shaped modern luxury with its exceptionally spacious interior adorned with elegant surfaces and intelligent high-tech features. The latest in business class comfort with pressurized cabin for truly luxurious accomodations.